A Multibillion Dollar Question: Is the 1989 Canada-US Free Trade Agreement (FTA) Still in Effect? By members of the House of Commons and various commentators, this claim has been repeated across the country. But is it really true that it is gone? One truly wishes that our country was free to act as it chooses. However, the FTA articles 2010 (Monopolies) and 2011 (Nullification and Impairment) give the US the right to challenge “any measure” taken by Canada “whether or not such a measure conflicts with the provisions of this agreement.” This amounts to a veto over Canadian policy and the chill on federal, provincial and municipal legislation has been far reaching. A dramatic example of this was Ontario’s NDP government in 1991 scrapping its longstanding commitment to introduce provincial public auto insurance, similar to that existing in Saskatchewan and BC, after State Farm, the largest US auto insurance company, claimed that under the FTA $1.3 billion would be owed by Ontario as “compensation” to US auto insurance companies if the province proceeded with these plans. Ontario drivers can credit the FTA as the cause for the high cost of their car insurance. 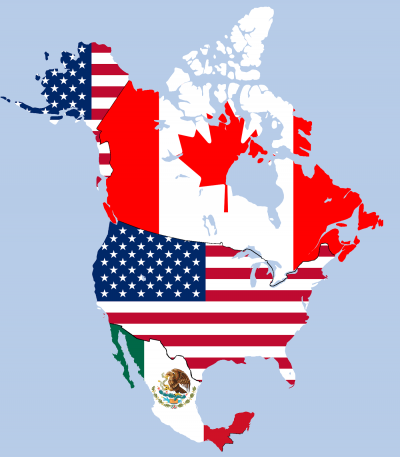 The USMCA — which president Trump half playfully, half menacingly called the US Marine Corps Agreement —states in its preamble that it will “replace the 1994 North American free trade agreement.” It is completely silent about the FTA. The multibillion dollar question hanging in the air is this: under the USMCA is the FTA still in force, or are the minister of foreign affairs and the prime minister telling us that it, too, is gone, and that we have regained our sovereignty over our economy and our energy resources? If that is the case, would a thank you note to President Trump for helping “make Canada great again” perhaps be in order? If the FTA is still in force, then the proportionality and the nullification clauses are not “now gone” and will continue to govern us as they’ve done for the last thirty years. If the FTA has also been replaced, will minister Freeland or prime minister Trudeau tell us where in the USMCA — or anywhere else — that information is contained. David Orchard was twice a contender for the leadership of the Progressive Conservative Party of Canada. He is the author of The Fight For Canada: Four Centuries of Resistance to American Expansionism. He resides in Borden, SK. Marjaleena Repo was national organizer for Citizens Concerned About Free Trade from 1985 till 1998, campaign manager and senior advisor for David Orchard’s leadership campaigns, and the Saskatchewan vice-president for the Progressive Conservative Party of Canada until its take-over in 2003 by the Reform Alliance Party. She resides in Saskatoon, SK. They can be reached at [email protected] and [email protected].